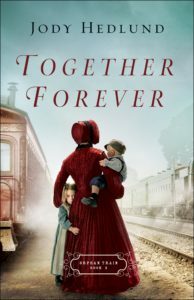 Together Forever by Jody Hedlund is a delightful Christian historical romance. 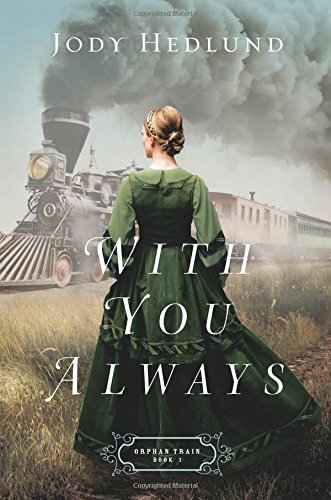 It is the second book in the Orphan Train series but can be read as a stand-alone. This novel has its roots in the orphan train movement of the mid nineteenth century. A movement set up to resettle New York City’s street orphans. Jody Hedlund has researched thoroughly and combined fact with fiction to produce a fabulous tale. 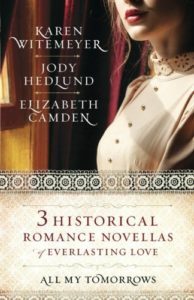 All My Tomorrows is a delightful collection of three historical Christian novellas. All have strong, likable, forward thinking women with huge hearts for others. Similar themes run throughout. The stories are all marvellous and it is impossible to choose a favourite. Worth The Wait by Karen Witemeyer is a delightful story with themes of trust, faithfulness, new beginnings and family. God can redeem our past and our pain. “The past would not control her.” God will set us free. With some good wholesome characters and amusing banter, the reader is entertained. Scars from the past need just as much healing as physical ones. A wonderful read. With You Always by Jody Hedlund is a delightful Christian historical romance. 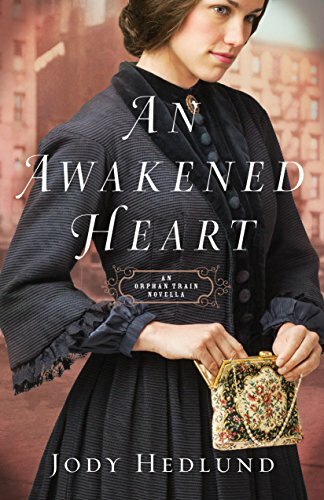 It is the first book in the Orphan Train series which promises to be fabulous. Fact blends with fiction to produce yet another charming feel-good tale. The novel explores being true to ourselves. We need to be the person God created us to be. It is no good trying to work to be someone else. One size does not fit all. We are all unique. Poverty was terrible in New York City in 1857. Lack of work, overcrowded tenements and gang warfare made life precarious. Women went west in search of work to avoid falling into the trap of prostitution to feed their families. It was an era of exploration as well as exploitation. An Awakened Heart by Jody Hedlund is the most delightful Christian historical novella. It is the prequel to the Orphan Train series. The story is set in 1857 and concerns the plight of the poor in New York City. Packed into overcrowded tenements, the poor did what they had to to feed their families. “Immigrant women should have more choices than prostitution or death.” Their ‘choices’ were forced on them by circumstances. Churches seemed more concerned with “feeding their souls while allowing their bodies to languish.” However God had other plans. God’s plans are so much greater than ours. He opens hearts and minds, bringing people together who can orchestrate His vision. When He places a dream in your heart, it cannot fail no matter what men say.